Shimla, Feb 11: The hills of Himachal Pradesh on Monday saw partly cloudy skies with the Met Office forecasting rain and more snowfall this week. 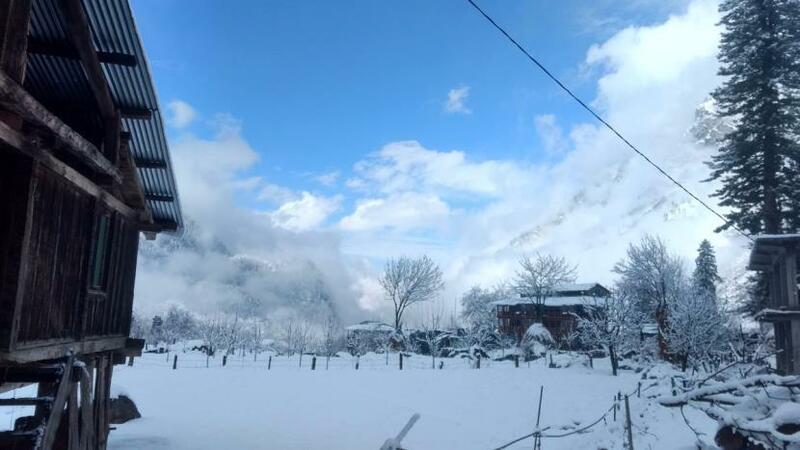 The Manali-based Snow and Avalanche Study Establishment (SASE) has advised locals and tourists to take precaution while travelling in high hills, especially tourist resorts in the Manali region, as chances of snow avalanches is high. "There are chances of widespread rainfall and snowfall in the state on February 14," a meteorological official told IANS. The official said the western disturbances - storm systems originating from the Caspian Sea and moving across the Afghanistan-Pakistan region - would start in the region from February 12. Most of the prominent tourist towns like Shimla, Narkanda, Kufri, Manali and Dalhousie, located in mid-hills, may witness snowfall, he added. Picturesque tourist resort Manali, some 250 km from Shimla, saw the minimum temperature at zero degree Celsius. Keylong in Lahaul and Spiti district was the coldest place in the state with a low of -10.8 degree Celsius. Shimla recorded the minimum temperature at 4.1, while it was minus 4.2 degree Celsius Kalpa in Kinnaur district, 2.1 in Kufri, 2.9 in Dalhousie (2.9) and 4.8 in Dharamsala. The snow avalanche threat is more in the Solang ski slopes, Dhundi and Beas Kund, all located in hills overlooking Manali in Kullu district, the SASE said in a bulletin that is valid till Monday.